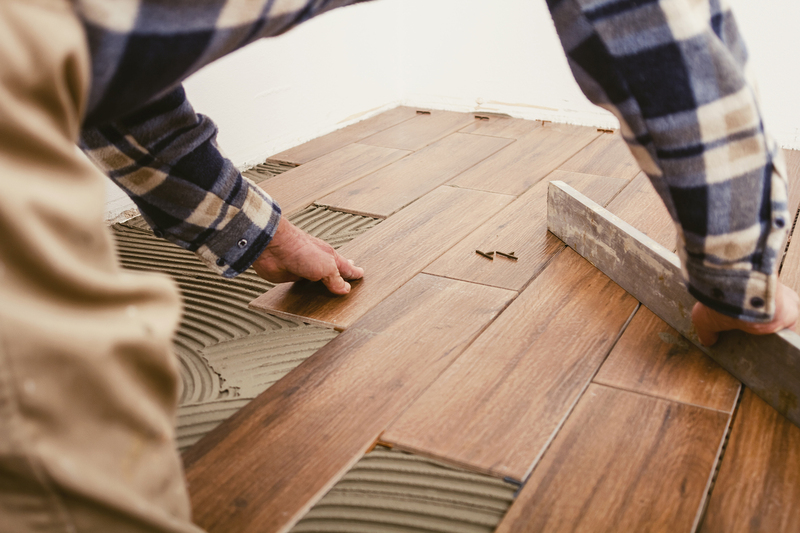 Apply hard tile, marble, and wood tile to walls, floors, ceilings, and roof decks. Build underbeds and install anchor bolts, wires and brackets. Prepare cost and labor estimates based on calculations of time and materials needed for project. Brush glue onto manila paper on which design has been drawn and position tiles finished side down onto paper. Cut tile backing to required size, using shears. Select and order tile and other items to be installed, such as bathroom accessories, walls, panels, and cabinets, according to specifications. Study blueprints and examine surface to be covered to determine amount of material needed. Install and anchor fixtures in designated positions, using hand tools. Assist customers in selection of tile and grout. Adjusting actions in relation to others actions.